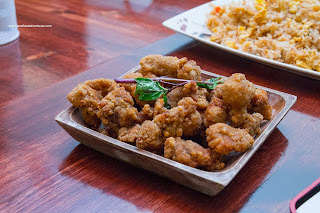 It is not often that I visit a restaurant over and over again without blogging about it. Whenever I eat, I get this urge to pull out my camera. 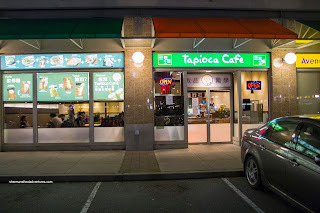 However, for 4 straight visits to Tapioca Cafe, I not only didn't take pictures, my camera was not even present. Sure, I had some anxiety over this, but with Mijune as my eating partner each time, I was too interested in chatting than actually taking pictures. Finally, with the 5th visit, enough was enough - it was time to blog. Due to the fact I had just finished hockey, my appetite was bigger than usual (if you can believe that). 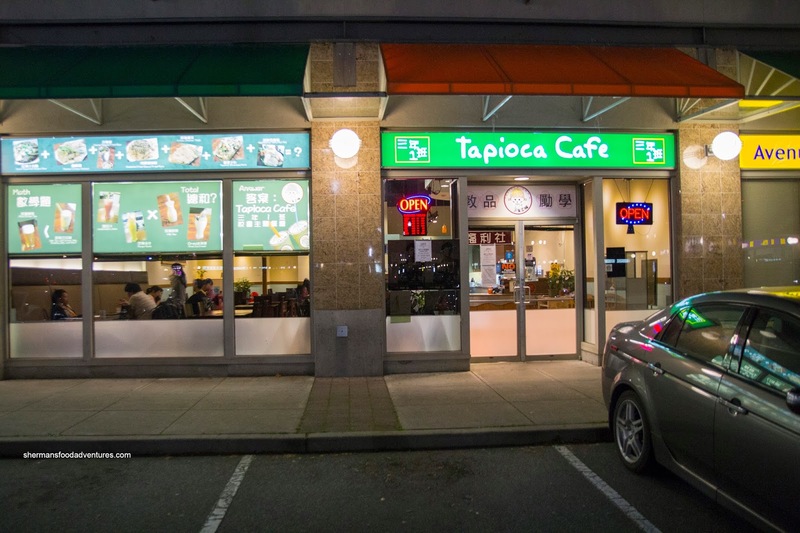 Hence, I ordered a bunch of food where Mijune merely picked at it here and there. 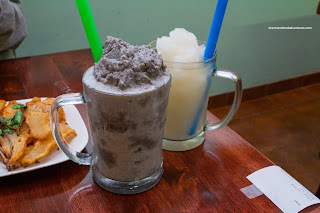 As for drinks, I went fo the Lychee Slush (with very little sugar) and Mijune had the Black Sesame. Both were exactly how we like it and with enough flavour despite the low sugar. Much like the last 4 times, the Chicken Nuggets were very good. With a light crispiness and juicy interior, there was much to like about them. Furthermore, there was no chicken skin, which usually makes it fatty and gross in my opinion. It was not very pepper nor salty though, but there was definitely 5 spice. The most surprising dish was the Fried Fish Cake. 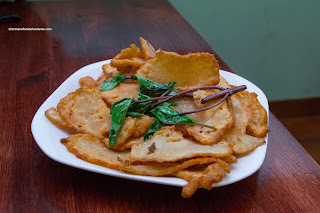 Sliced thin and fried until they resembled potato chips, we couldn't stop eating them. They were a touch greasy, but super crispy. 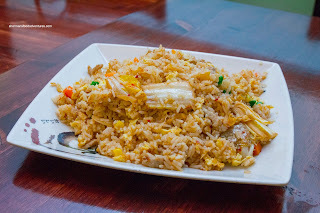 Moreover, the ample seasoning had a bit of everything including salty, peppery, 5-spice and a hint of curry (and MSG). We also ended up with the Kimchi Fried rice where plenty of ingredients hid underneath. That ensured a spicy crunch mixed in with julienned pork and frozen veggies. I found the rice to be a touch soft, yet still exhibiting good wok heat. There was no absence of flavour here. 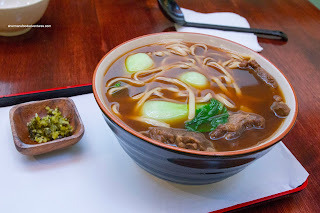 Lastly, I got the Taiwanese Beef Noodle and by looking at the picture, the portion size was as large as it looked. Packed with mostly al dente noodles and tender morsels of beef, this was another solid offering. The soup wasn't exactly super meaty, yet it was not bland either. I could taste some other flavours beyond the first sip. Pretty decent place in my opinion and consistent too since this was my 5th visit.